Good Bike on Indian Rd. August 12, 2011. 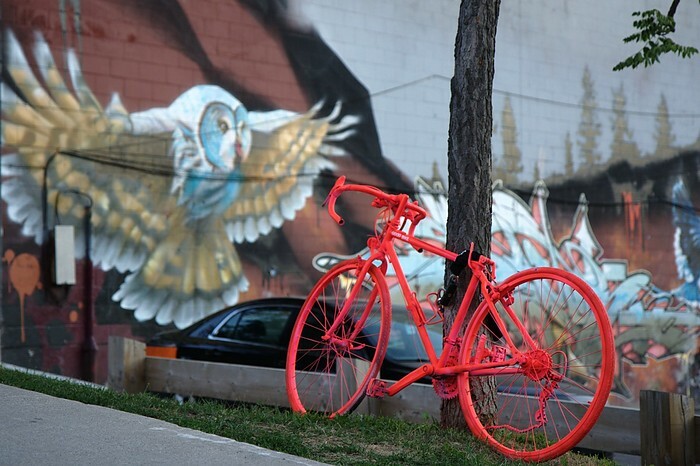 One of the brightly painted bicycles from the "Good Bike" art project, installed on Indian Rd. just outside the Keele subway station.